Imagine growing vegetables that require just about the same amount of care as perennial flowers and shrubs-no annual tilling and planting. They thrive and produce abundant and nutritious crops throughout the season. In Perennial Vegetables plant specialist Eric Toensmeier introduces gardeners to more than 100 species of little known, underappreciated plants. 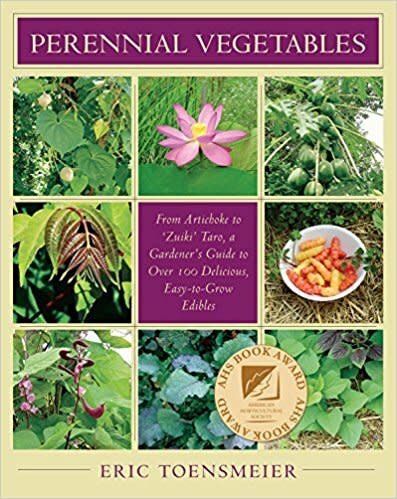 Including dozens of color photographs and illustrations, and filled with valuable growing tips, recipes, and resources, Perennial Vegetables is a groundbreaking book that will open the eyes of gardeners everywhere to the exciting world of edible perennials.